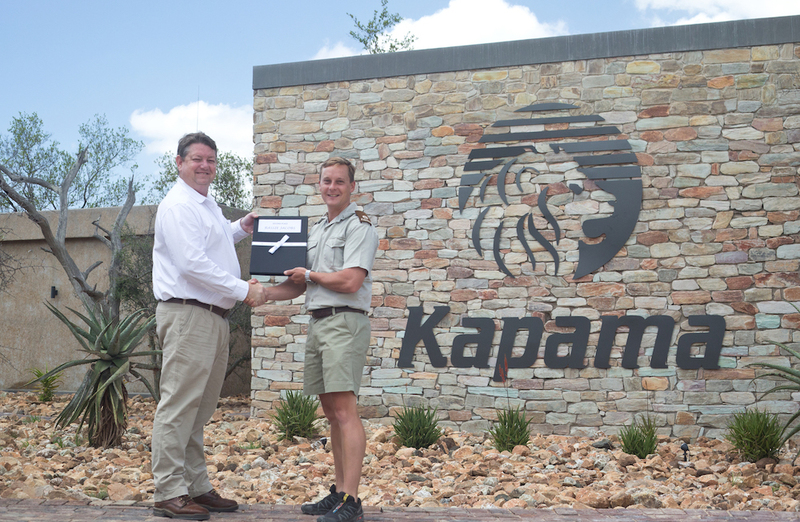 Kapama Photo Competition Winners! 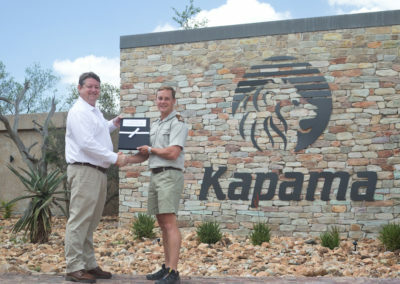 | Luxury Safari Experts | African Safari Co. In 2016, the first Rangers Photo competition kicked off. 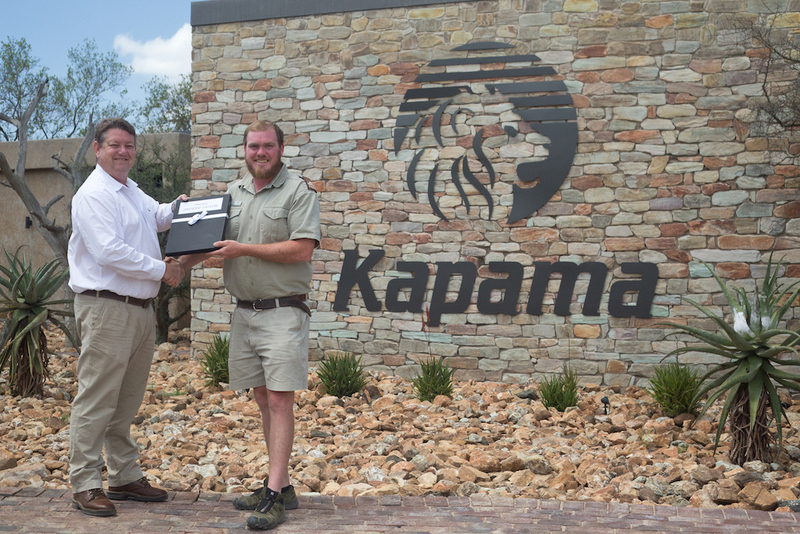 The competition was initiated to encouraged staff to unleash their creativity and explore the natural African environment around them, express their passion and love for nature and give guests a taste of the abundance of wildlife resident on Kapama Private Game Reserve in South Africa. This year 2 photo competitions were held. The first one of 2018 concluded in June. After careful consideration, the collection of almost 300 wildlife photos was first drilled down to Top 20, Top 10 and Top 5 before the winner was announced. Heinrich went on to state that choosing the Top 5 was a tough task. So, not only are we proud to showcase the third place, runner-up and winning photo but also the two that made it into the Top 5. The Owl: I like it when photographers are creative and use the mood in an image. This kind of image is really difficult to capture. The lighting on the Owl is beautiful because it is not straight from the front. This gives the effect of added depth and texture. 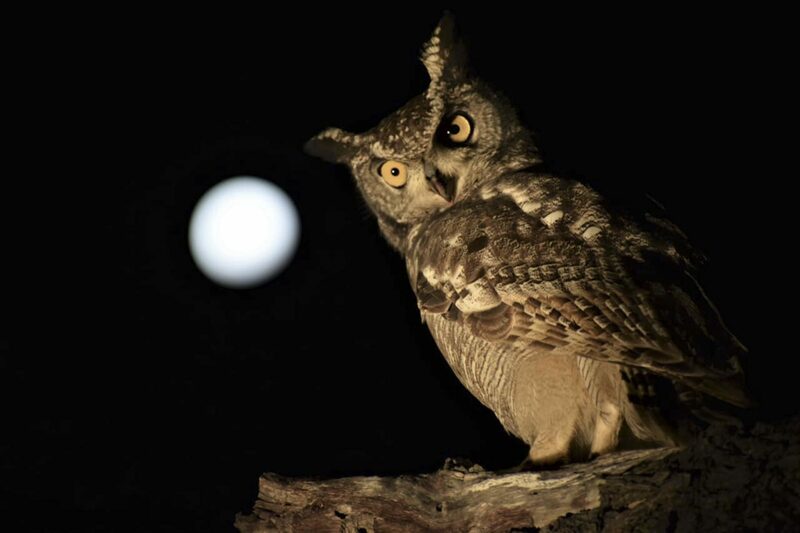 The contrast between the colour temperature between the warm light on the owl and the neutral light on the moon creates more depth to the image. Unfortunately, the head of the owl is not pin sharp, and the focus is on the body. But apart from that, this is a brilliant image, well done Ranger Albie. Leopard: Sometimes it just takes something small to elevate an image from an ordinary image to a masterpiece. Here it was a branch. 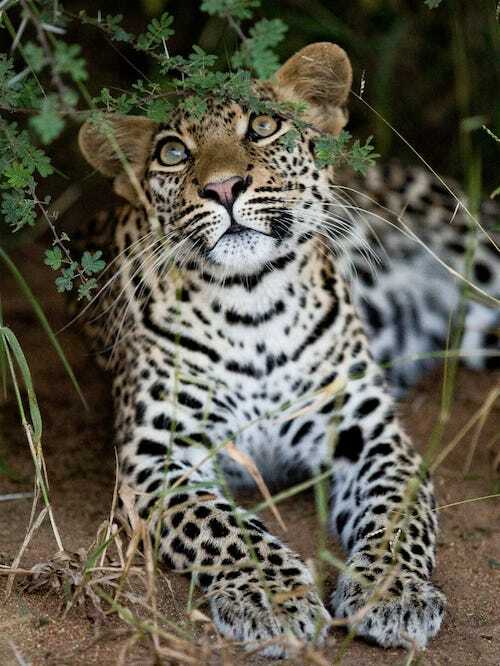 The branch frames the face of the leopard beautifully and because the leopard is looking up, it enhances the effect. The fact that it was looking up also created a beautiful highlight in its eye. The timing was perfect. The lighting on this image is beautiful. Bright overcast light is great for leopards. But what really makes this image pop, is the dark background. Normally during overcast days, it is difficult to get a dark background on which to place the subject, as everything is bright. But if you can find a dark background, like a dark shadow under a bush, then the subject just pops. 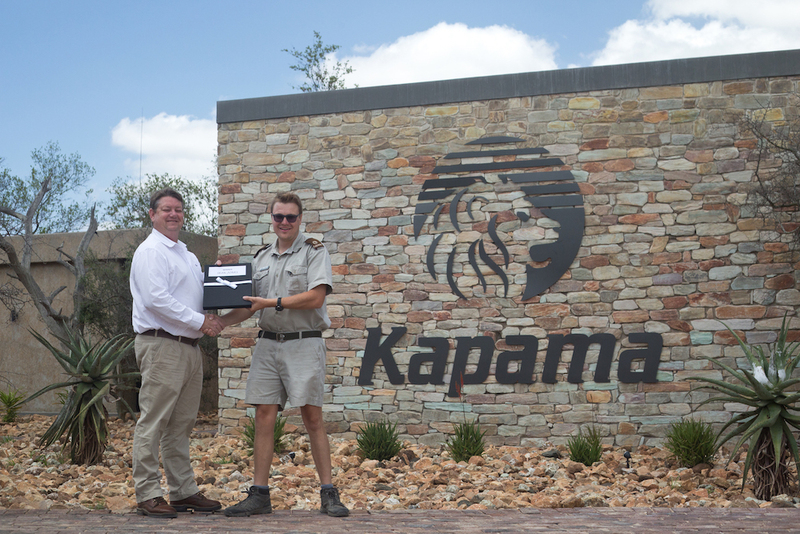 Brilliant image, great job Ranger Andrew from Karula. This left the following three photos to claim the awards of Third place, Runner-Up and Winner! 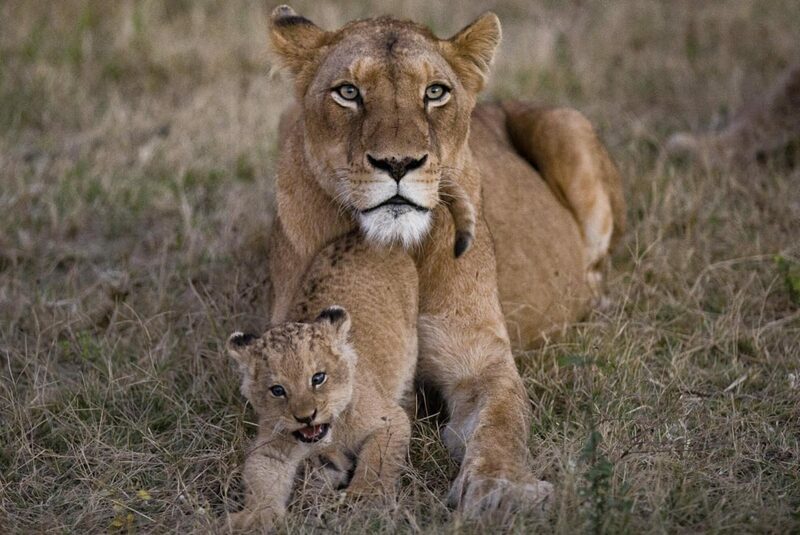 I like this image because of the lighting on the subjects, as well as the pose of the cub. The bright overcast lighting conditions also helped to make to bring out the textures on the fur of the animals. What could have improved the image would have been to turn the camera vertically so that there is more space below and above the lions. But a great photograph. There are two things that make this image unique: the backlighting and the action. Backlighting is a difficult kind of lighting to use as it only really works when the light is dim, i.e. during the last few minutes of the day or the first few. If the light is too harsh backlighting will change the subject into a silhouette. The backlighting works well because it brings out the dust being kicked up by the rhinos. And the contrast between the beautiful warm light on the dust and the neutral light on the rhinos create an image with colour balance. The backlighting also helps to frame the rhinos. The second thing is the action. The lifted foot, which stands out because of the warm coloured background is perfect to show the action. 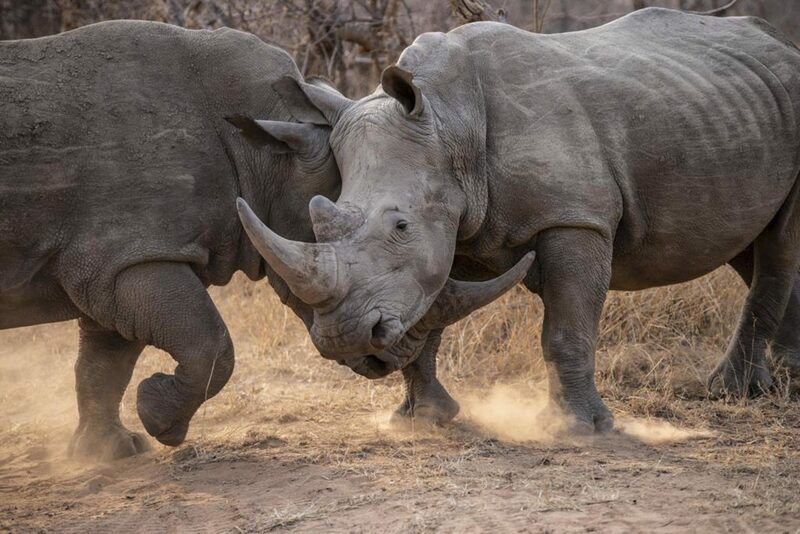 Rhinos are extremely difficult to photograph doing something and mostly look static, even though they are busy moving. So this image really works well to illustrate the action. The cross that the heads create is effective. The texture on the bodies are wonderful and overall this is an exceptional image. Heinrich highlighted why this image made it to number one out of the entire collection. “What I love about this image is the pose. The skill of photography is to capture the decisive moment, even though the moment might not be important. In the end, it is only the final image that counts. The pose in this image is perfect. The paw in the air, the bent back legs, the tail, and the face looking into the beautiful light, creating a highlight in the eyes. 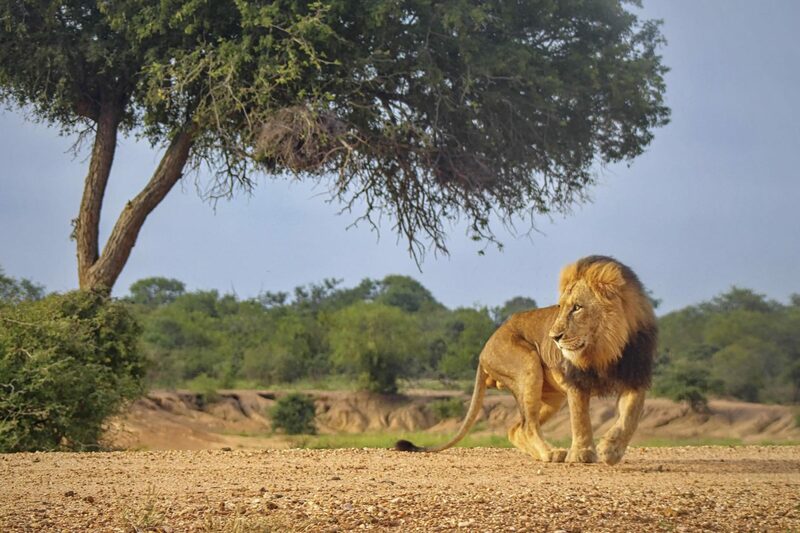 The angle of the shot is also good – the photographer was lower than the lion, which created a more intimate image because the camera is about eye height compared to the lion. When you find a lion on a dam wall or an elevated area, always try and position yourself lower than the animal, because a photograph taken from eye level is always better than a photograph taken from the traditional height of game drive vehicles. 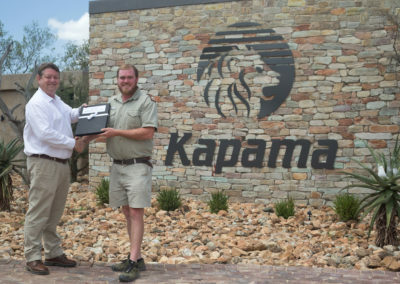 Christiaan Basson, General Manager – Tourism, once again handed over the prizes to the deserving winners at the official prize-giving held at the brand new River Lodge reception area. The level of photography of our Rangers is growing from strength to strength and we are looking forward to seeing what scenes of nature are captured in 2019.